Picture spending day after endless day trapped behind a locked door, for which someone else has the key. That’s where Jean Abreu’s imagination has been residing for the best part of two years, during the creation of his new work, Inside. 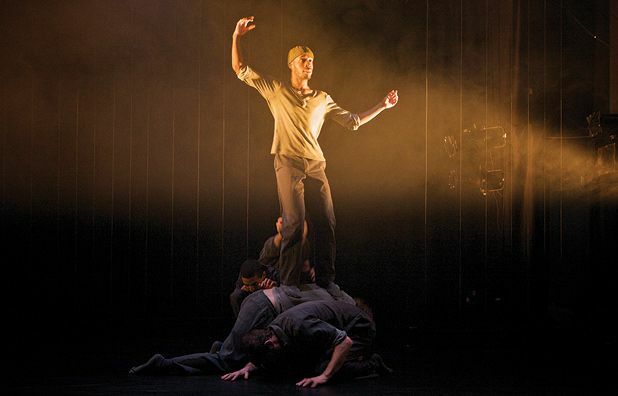 The award-winning choreographer has turned his long-held interest in prison life into a powerful piece of contemporary dance which premieres at this year’s Fringe. ‘Prison has always been a fascinating subject for me because it’s a microcosm of society,’ says Abreu. ‘People are so contained within a space that everything – their vulnerabilities, their worst parts – become exaggerated. Making the piece has been such a social science adventure.’ Born in Brazil, but based in London for the past 14 years, Abreu is best known for co-founding Protein Dance (Publife, The Banquet) but has since branched out on his own. Inside will be the debut offering from the newly-formed Jean Abreu Dance, inspired by a number of what he calls ‘trigger points’. ‘It started with my ongoing interest in the human condition,’ he explains. ‘Then I discovered lots of films about life in prison and became interested in how the body deals with sensorial isolation, both physically and psychologically.‘ As well as developing a movement vocabulary that could adequately portray life in a confined space, Abreu underwent an intensive period of research; although not in the way you might expect. To realise his vision, Abreu has gathered together a talented team of performers and designers and, for the first time ever, he won’t be dancing in his own work. According to Abreu, being able to stand back and observe his choreography during the creative process ‘has been so long awaited’. He is also more than a little excited about Inside’s musical accompaniment, provided by guitar instrumentalists 65daysofstatic, who will be performing live at every show during the Fringe. ‘65daysofstatic have been amazing,’ says Abreu. ‘They’ve created a whole piece specially for this work, it’s an exclusive number. People say to me “how did you manage to get them?” They were simply interested in my idea.’ Another feather in Abreu’s cap is Alan Macdonald, production designer for Inside. Over the past decade, Macdonald has designed and co-directed three major world tours for Kylie Minogue, so knows a thing or two about creating atmosphere. Inside, Zoo Roxy, Roxburgh Place, 0131 662 6892, 6–14 Aug, 6.25pm, £12. Dance: not just for girls, okay?